So contrary to what many experts have predicted, cord cutting – the cancelling of traditional Pay-TV subscriptions in favor of on-demand video streaming services, has not become a mass phenomenon yet. While Pay-TV subscribers have certainly declined, it is by no means the mass exodus that many had anticipated. Large numbers of Pay-TV subscribers are adding to their cord services versus replacing them. Over half (55%) of Pay-TV loyalists “stack” with subscription video services. Among the 18-34 loyalists, stacking rises to 76%. Basically, people keep their Pay-TV subscription, but may skinny it back, and then cherry-pick one or two streaming services they want to watch to supplement their TV viewing. For many cord cutters, the same company that supplies their TV programming also provides their Internet service, and the price for broadband service often rises when debundled from a TV service. Also for some, they may have to pay for a faster connection if they’re getting more entertainment via streaming. Finding a way to get live local broadcast channels, such as ABC, CBS, Fox, and NBC is another obstacle. Usually they aren’t offered by streaming services (Hulu is the notable exception). While you can get these channels for free using an antenna, (but who wants to go back to this old technology?) not everyone can get great reception with one. One word – SPORTS! Live sports is the glue that keeps viewers stuck to cable packages. While many streaming services offer certain sports programming, it’s for an add-on fee. In April of this year, ESPN launched its own streaming service, ESPN+ for a monthly fee. Some professional sports leagues, such as MLB, the NBA, and the NHL, offer online subscriptions. With ESPN+ and other dedicated sports streaming services, local games could be blacked out. Costs add up, and if sports enthusiasts cut the cord, they could soon be spending a pretty penny to subscribe to multiple sports leagues/streaming services. With multiple streaming services, viewers will have to sift through them all individually to find the content they want to watch. Since this can be tedious, there’s an app for that (of course)! For a small subscription fee (but there are some free ones) these apps or sites will do the hunting for you. Regardless if streaming services continue to grow, it’s good to have choices, and more likely than not, Pay-TV companies will be hedging their bets and offering their own version of streaming services. The TV industry is changing. 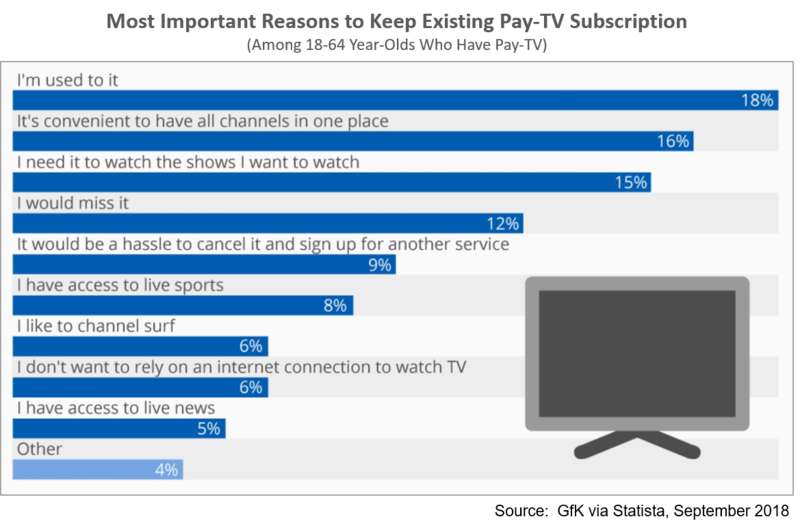 Viewers have demanded a more customizable experience for how they consume their favorite sports, shows, and series. 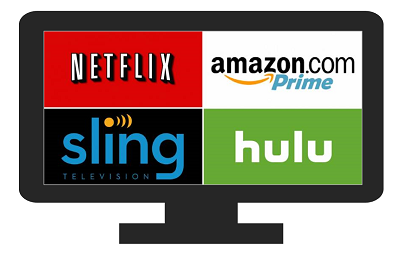 Instead of cutting the cord, they are now creating their own personalized bundle using Pay-TV as a base and stacking with various streaming services.